This year's hottest skincare ingredients are as much healthfood as high-tech. What does it do? Trials have shown an extract in capers is highly effective at calming skin flare-ups. How does it work? They're high in rutin, which strengthens capillaries, thus helping conditions like rosacea. They also contain anti-bacterial and anti-inflammatory quercetin. 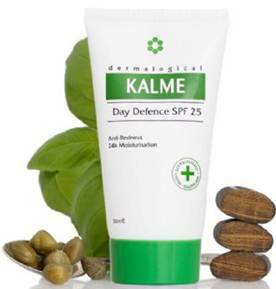 Find it in… KALME Day Defense Cream SPF25, $31.80 (skinshop.co.uk). This skin-soother eases redness and also delivers a liberal dose of non-irritating pure zinc lo protect cells from further damage. What Does It Do? The natural enzymes in cantaloupe melon gobble up dull, dead skin cells and flood skin with powerful protective antioxidants. How Does It Work? Unlike some chemical exfoliating agents or abrasive scrubs, the fruit acids in cantaloupe gently dissolve complexion-dulling dead skin. The orange-hued pulp also contains a class of cell-boosting enzyme known as superoxide dismutase, which is responsible for the cantaloupe's signature plumpness and longevity compared with other melon varieties. 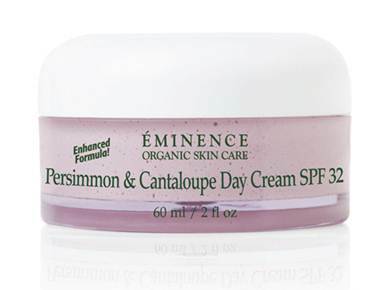 Find It In… Eminence Persimmon & Cantaloupe Day Cream SPF32, $80 (theskinsmith.co.uk). Used daily, it helps boost ceil turnover to reveal brighter, glowing skin with a new-found firmness. What Does It Do? Japanese scientists have known since the early 1990s about the skin-tightening and smoothing properties of compounds found in liquorice, but it has only recently begun to feature in Western beauty brands. How Does It Work? Liquorice contains a substance that inhibits tyrosinase activity, a key determinant of melanin production in skin. In other words, it reduces discoloration caused by the sun, making it useful in brightening formulations and for treating excessive pigmentation. Find It In… Rodial Skin Bleach Serum, $124 (rodial.co.uk). It helps to gently brighten and fade dark spots and Illuminate skin. Plus, it contains collagen-boosting pomegranate ellagic tannins. What Does It Do? Green coffee oil, harvested from the raw beans we're more used to seeing (and smelling) roasted, has been shown to have a purifying effect on the skin. Green coffee has been used by Brazilian women for years as a natural anti-cellulite treatment. How Does It Work? As well as being packed full of free-radical-blitzing antioxidants, the enzymes found in green coffee kickstart a natural detoxifying process within the cells, making it a popular choice in skin-clearing formulations. However, because green coffee has a similar acidity to human skin - around pH 5 - it won't dry out the skin's surface like some overly acidic or too- alkaline treatments can. Maintaining skin's acid balance protects its integrity. 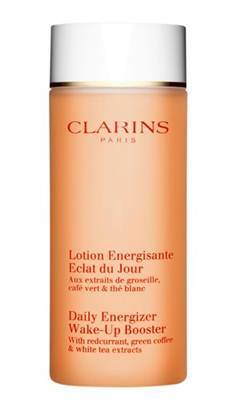 Find It In… Clarins Daily Energizer Wake-up Booster, $24 (uk.clarins.com). This refreshing gel liquid for face and neck tones and refreshes blemish-prone skin without leaving it feeling tight.